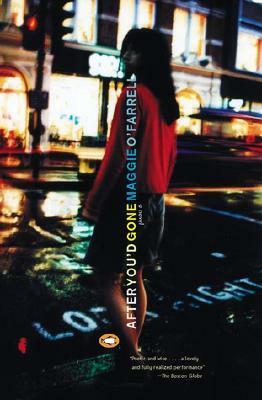 This is my third Maggie O'Farrell book and I'm still completely charmed. I love her style, her slow reveals, and the way she trusts her reader to understand the story without clearly spelling it out. This story revolves around a girl named Alice. It begins with Alice being hit by a car, though we don't know if this was an accident or attempted suicide. Earlier that day, she had taken a spontaneous trip from London to Edinburgh to visit her family, but then hopped back on the train within minutes after seeing something shocking in the bathroom mirror of the train station. For the rest of the story, Alice is in a coma. We meet her through many, many flashbacks to her childhood, teen years, and adulthood. The most important story in her life is her relationship with John, who (at the time of the car accident) is no longer in her life. We also meet Alice's family: her parents, sisters, and grandmother. Several important flashbacks involve the earlier lives of the mother and grandmother. Family secrets, etc. I don't want to give too much away. Like the two other O'Farrell books I've read (The Vanishing Act of Esme Lennox and The Hand That First Held Mine), After You'd Gone is written in a non-linear, multiple-POV structure. I'll admit that a small part of me would like to see her use a different format, but at the same time, she does this very well. Instead of relying on cheap tricks, she keeps readers interested by constantly making them think. You don't always know where in the timeline of the story you are or what has happened to lead to this point, so you're constantly piecing the story together. This is something O'Farrell excels at, so I can understand why she has used the structure so many times. I enjoyed this story quite a bit, though I never felt I really knew Alice. The pieces of her we're given conflict a bit and I could never get a firm grasp on her personality. Especially where boys are concerned. She seems to have some mysterious charm (unpresented by O'Farrell) that makes boys not just fall in love with her, but become obsessively infatuated. It didn't make sense. I also had a hard time understanding the main conflict in Alice's relationship with John, and the end of their relationship just didn't sit well with me. It didn't feel natural (though I understand what O'Farrell was going for). Really enjoyed this. I will definitely be moving on to O'Farrell's other books soon.